I wasn’t always in love with Colton Calloway; I was in love with his younger brother, Kyle, first. Kyle was my first one true love, my first in every way. Then, one stormy August night, he died, and the person I was died with him. Colton didn’t teach me how to live. He didn’t heal the pain. He didn’t make it okay. He taught me how to hurt, how to not be okay, and, eventually, how to let go. So as many of us, are off to London in 2 weeks I thought I’d read a book from the line-up. O boy did I pick a book, because of the synopsis I knew what was coming but I was naïve and thought I wouldn’t meet Kyle but I did and yep totally fell in love with this boy. So when I get to the moment I know it’s all going to go wrong…………………… I break into a million pieces, I’m in bed and I’m sobbing, did this really just happen?????????? I can’t even look at a tree any more without welling up and there are a lot of trees where I live. Nell just became broken, she lost her life the day she lost Kyle, not only did she lose her best friend that night she lost her first love, her future plans and what was replaced instead was Guilt!!!!!! This is the first time Nell meets Colton, Kyle’s older brother. There are reasons for this, when you read the book, it all becomes clear. It’s amazing to think how Colton came through the other side, They felt the connection but it was so wrong… wasn’t it???? Time went on for them, living their separate lives and just surviving each day as it came. Then one day fate took over and brought them to the same city, on the same street at the same time. While reading this book and coming to love Colton I wanted them to work and after all this pain they have been through, not just the fact they both lost Kyle but for the fact they both lost so much more along the way. Plus Colton is hot ladies haha. The guilt that Nell carries is so raw so deep in her soul, you feel that pain every step of the way and at moment’s I stop to take a breath and wonder why my pillow is wet. 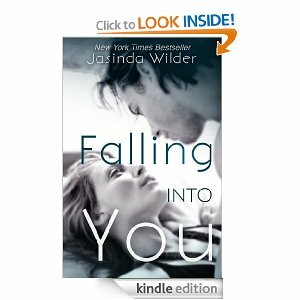 Yes ladies I cried A LOT, Jasinda Wilder gets your emotions running while reading this book. A well deserved 4 stars out of 5!